It looks like China's Huawei, the world's largest telecommunications equipment maker, is sick and tired of the United States accusing it of cyberspying. In an interview with the French press, the company's founder and CEO Ren Zhengfei said they're throwing in the towel stateside. Ren did not mince his words. "If Huawei gets in the middle of U.S-China relations [and causes problems,] it's not worth it," Ren reportedly said. "Therefore, we have decided to exit the U.S. market, and not stay in the middle." However, it seems not everybody at Huawei got the memo. Huawei vice president William Plummer, who Foreign Policy describes as "the company's point person in Washington," wouldn't corroborate Ren's claim. Plummer told FP that "Huawei has adjusted our priority focus to markets that welcome competition and investment, like Europe," and suggested that Ren was just "making a comment on the current market environment" in the interview. So it remains unclear exactly what Huawei's next move will be. It's no mystery that the United States is deeply suspicious of the company and its ties to China's People's Liberation Army. 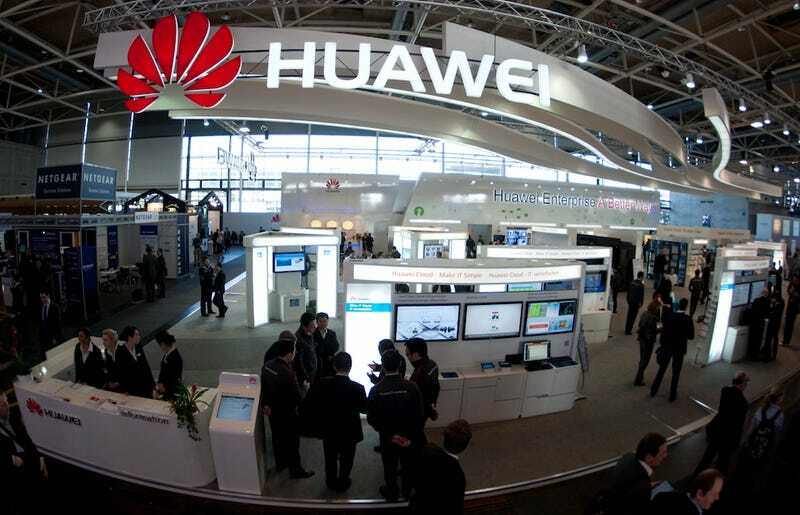 U.S. House Intelligence Committee chairman Mike Rogers somewhat famously said last year that Huawei's products "cannot be trusted to be free of foreign state influence and thus pose a security threat to the United States and to our systems." The committee also released a report that accused Huawei of all kinds of bad behavior including bribery, corruption, and immigration violations. Huawei, of course, denied the claims.